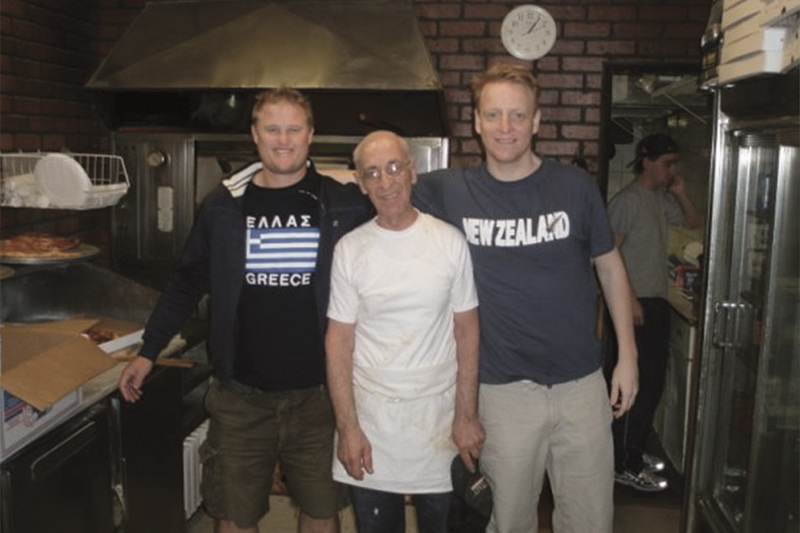 Sal’s Pizza in New Zealand was started by 2 longtime friends – Nick from Auckland, New Zealand and Ciaran from Queens, New York. For Ciaran, it started nearly 15 years ago while on a trip to the Gold Coast. Hungry for a pizza he was recommended to try a popular local pizza place – he thought the pizza wasn’t bad, but could have been better considering how many people were raving about it. This got him to thinking about how a great NY pizzeria would do half a world away. 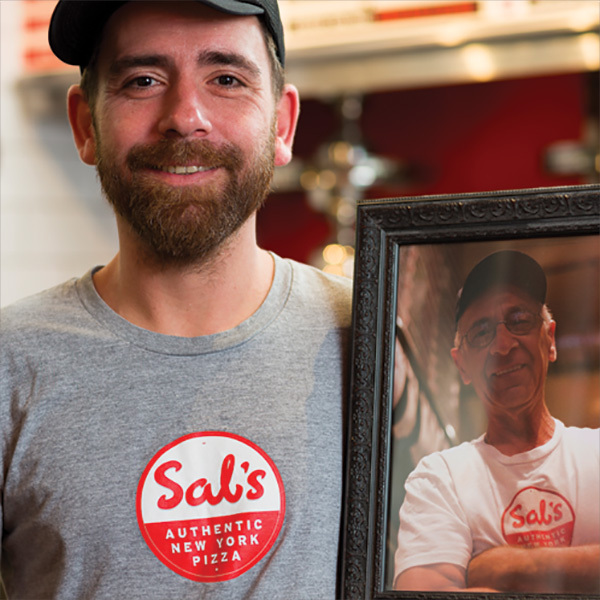 On returning to New York Ciaran went to see Salvatore Leo, who owned Sal’s Pizza in Little Neck, New York – and asked him if he would ever share his secret recipe?  He said whenever Ciaran was ready he’d have access to it. (Keep in mind Ciaran’s family had been eating Sal’s his whole life and he had known Sal and his son Brian for years. That invitation stayed with Ciaran for over a decade and was something he always kept in the back of mind, originally dreaming about opening a shop in Australia when the time was right. For Nick, after spending 4 years at college in the US and having made a few trips to NY and trying the pizza had always wished there was a pizza place in Auckland to match that quality. The lack of good pizza alternatives in Auckland had pained him for more than a decade. So, fast forward to Jan. ’08 – Nick was in New York visiting for New Year’s. 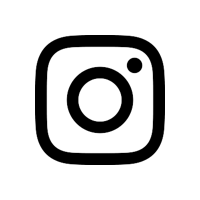 On the afternoon of Thursday January 3rd, Nick and Ciaran were sitting on a blue corduroy couch in Douglaston, NY suffering from the lingering effects of a slightly extended New Year’s Day celebration. We decided to order a large cheese pizza from my favorite pizzeria – Sal’s of Little Neck. Not to state the obvious but #1 we were starving after waking up late and #2 pizza always tasted that much better after a good night out. 6 weeks later Nick was back in the US – coming through LAX – with 5 litres of Auckland tap water in his suitcase. 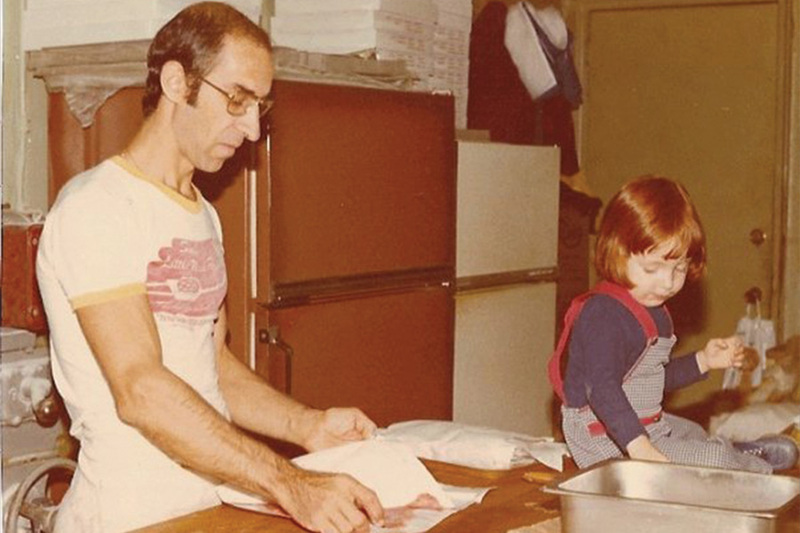 After miraculously being left alone by US Customs he continued on to JFK and the next day we were using that tap water to mix the flour in the back of Sal’s kitchen – in Little Neck, NY. A day later we used that same dough to make real pizzas and served them to regulars of Sal’s (as well as copious amounts for ourselves) and everything tasted delicious. 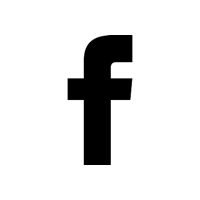 It was THE MOMENT for us and we decided that night to go for it! And that my friends is the story of how it all began and how we made our way to NZ. Sal took up residence with his Uncle Charlie, Aunt Lena and his four cousins in Williamsburg, Brooklyn. He entered fifth grade alongside “American” Sal, speaking no English except (as legend has it) to proclaim himself a New York Yankee fan after “American” Sal professed his Brooklyn Dodgers allegiance. 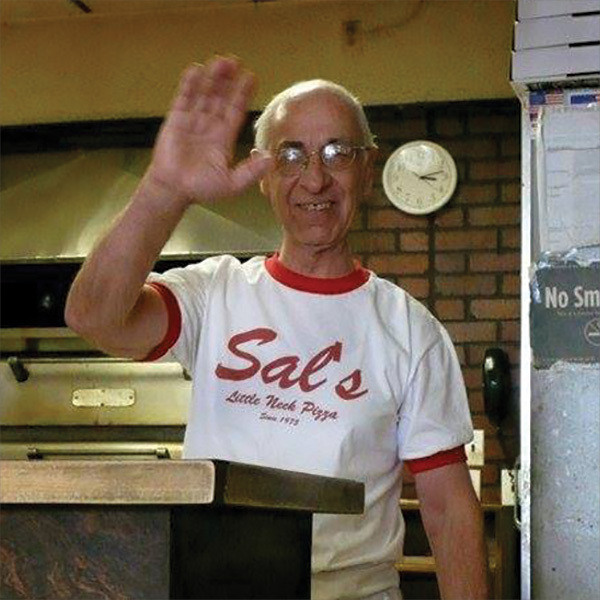 Sal graduated from high school in 1959 and his first job was helping out his cousin Richie at Richie’s pizzeria – Corato Pizza – in Ridgewood, Queens. It was here that Sal discovered his talent for pizzamaking. Unfortunately, Richie didnt need Sal full time, so while Sal continued to work at the pizzeria he took a job at Terminal Hudson Electronics in Manhattan; Sal worked there for 11 years. 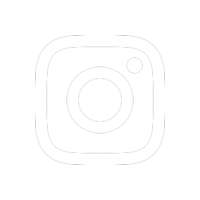 Tired of working for someone else, Sal saw a classified ad in the local paper – pizzeria business for sale in northeast Queens. The store was run down but the price was right. Sal borrowed some money from his in-laws, put $3,000 down and bought the place. 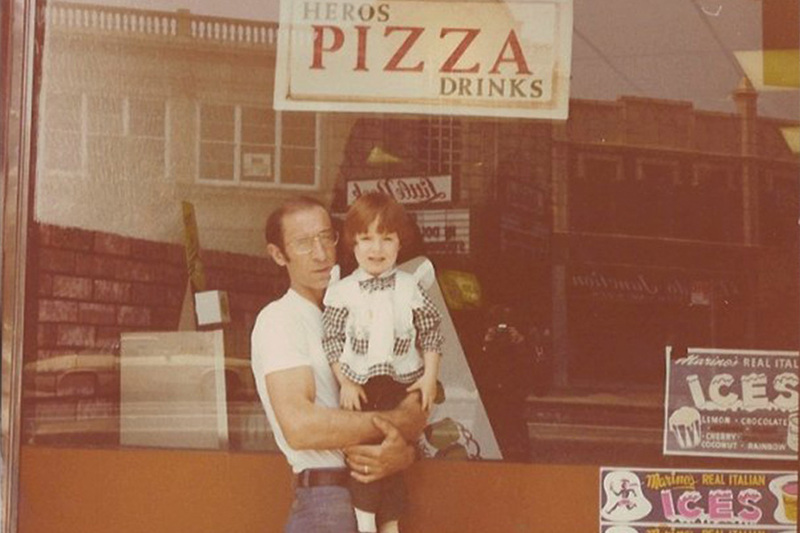 With the help of his wife, Angie, he refurbished the business, used his cousin Richie’s time-tested recipes and opened Sal’s Pizza of Little Neck in 1975. Sals Little Neck Pizza was more than just a place to get delicious pizza, it was a neighborhood institution, a place to share a good meal with the family or grab a pie to go. It was an old-school neighborhood gathering place, where people would come to debate Sals colorful opinions. 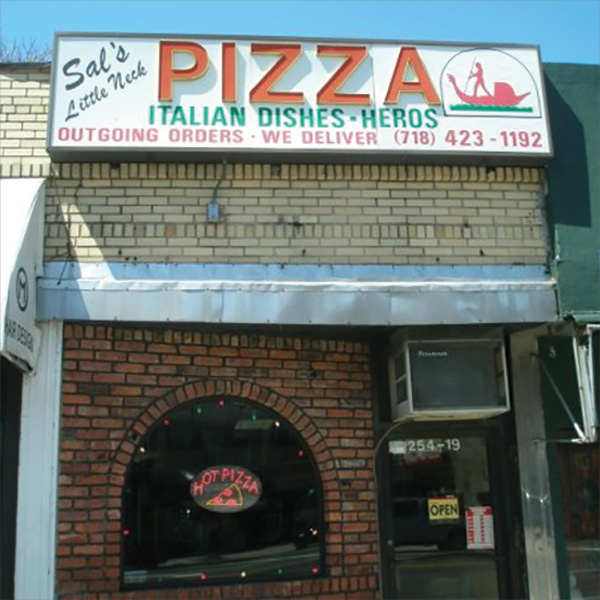 The pizzeria was one of a kind and remained a neighborhood staple until Sal sold the business in 2010. These days Sal is happily retired and constantly threatening to move the family to South Carolina, but still lives just down the block, about 100 yards from the old shop in Little Neck, Queens. Speaking of imports, one of the luckiest breaks early on (and we had our fair share of good fortune) was convincing the son of Sal – Brian Leo – to come down to Auckland. 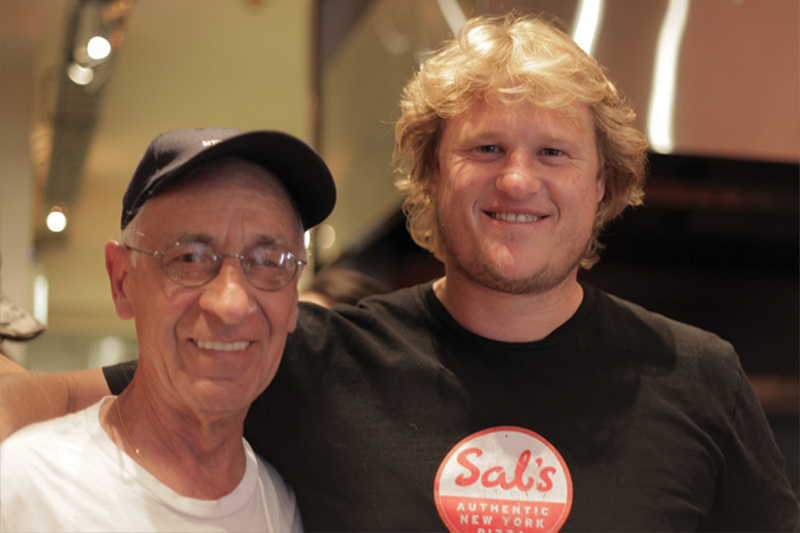 Sal himself was nearing retirement and with a little coaxing from his mother and sister – Brian agreed to relocate and be our head pizzamaker at Sal’s in New Zealand. • Our signature slow risen dough is made using genuine New York Milled Hard Spring Wheat Flour for that authentic New York base you can fold. Crispy on the outside, but light, tender and airy on the inside. • Our sweet tomato sauce is made fresh daily using Sal’s famous recipe and comes from Vine Ripened California Tomatoes. • Our 100% Premium Wisconsin Mozzarella is produced using the highest quality milk from sustainably farmed “happy cows”. (Wisconsin has been producing Cheese since the 18th century). • Our Famous New York Pepperoni and Italian Meatballs are exclusive to Sal’s. • Our Free Range Buffalo Wings are made with the Authentic “Original 1964 Buffalo” recipe. At the top of our homepage and on the back of our print menus it says, ‘…we have spent years perfecting Salvatore Leo’s well guarded pizza making techniques’ – and this is absolutely true, but maybe not always in the sense that you’d think. You see, Sal didn’t have any of his recipes/secrets written down – it was all in his head and to the feel of his hand, like many a legend. So because of this it took us a long time and a lot of very close observation to finally nail everything down – which of course we were more than happy to do, as it made for a great apprenticeship. But there was this one time (after we’d arrived in NZ) where we were having a small problem with the percentage of yeast to use in our/his dough formula and decided to send him a quick email to see if he could clarify the amount needed. We received a simple response from Sal’s wife Angie that said, ‘Daddy doesn’t do percentages, sorry…‘. We love that story to this day, and Angie and Sal bless their hearts for being cool with us publishing this hilarious little bit.